A Smart Card resembles a credit card in size and shape, but inside it is completely different. First of all, it has an inside - a normal credit card is a simple piece of plastic. The inside of a smart card usually contains an embedded microprocessor. The micro processor is under a gold contact pad on one side of the card. Think of the microprocessor as replacing the usual magnetic stripe on a credit card or debit card. Smart cards are much more popular in Europe than in the United States. In Europe, the health insurance and banking industries use smart cards extensively. Every German citizens has a smart card for health insurance. Even though smart cards have been around in their modern form for at least a decade, they are just starting to take off in the United States. Magnetic stripe technology remains in wide use in the United States. However, the data on the stripe can easily be read, written, deleted or changed with off-the-shelf equipment. Therefore, the stripe is really not the best place to store sensitive information. To protect the consumer businesses in the U.S. have invested in extensive online mainframe based computer networks for verification and processing. In Europe, such an infrastructure did not develop, instead, the cards carry the intelligence. The microprocessor on the smart card is there for security. The host computer and card reader actually "talk" to the microprocessor. The microprocessor enforces access to the data on the card. If the host computer read and wrote the smart card's random access memory (RAM), it would be no different than a diskette. Smart cards may have up to 8 kilobytes of RAM, 346 kilobytes of ROM, 256 kilobytes of programmable ROM and a 16-bit microprocessor. The smart card uses a serial interface and receives its power from external sources like a card reader. The processor uses a limited instruction set for applications such as cryptography. 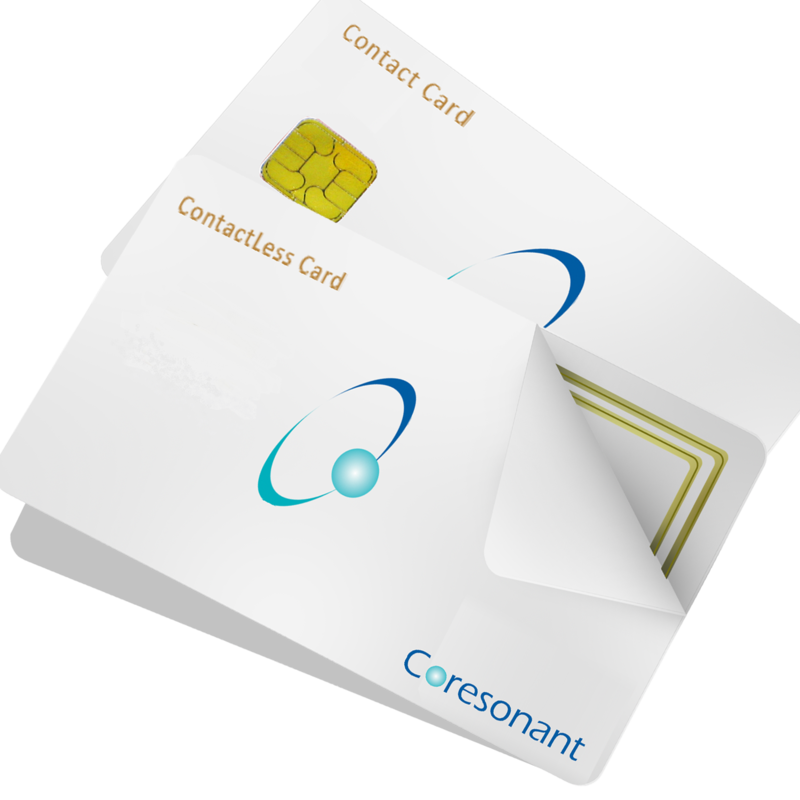 A Smart Card contains more information than a magnetic stripe card and it can be programmed for different applications. Some cards can contain programming and data to support multiple applications and some can be updated to add new applications after they are issued. Smart cards can be designed to be inserted into a slot and read by a special reader or to be read at a distance, such as at a toll booth. Cards can be disposable (as at a trade- show) or reloadable (for most applications). An industry standard interface between programming and PC hardware in a smart card has been defined by the PC/SC Working Group, representing Microsoft, IBM, Bull, Schlumberger, and other interested companies. Another standard is called OpenCard. There are two leading smart card operating systems: JavaCard.